Thirsty? Eat something. Many people struggle with drinking enough water every day, but not all of your fluid intake has to come from liquids. In fact, roughly 20 percent to 30 percent of a person’s total water intake is from food. And certain foods can help you meet your hydration goals much better than others. Here are 15 of the most hydrating foods your body will drink right up. There really isn’t much to iceberg lettuce besides water. Consequently, other varieties — such as romaine or green leaf lettuce — have more nutrients. But iceberg has its benefits, too. It’s incredibly low in calories — coming in at around 1 calorie per medium leaf. And besides water, it still provides some vitamins and minerals, including vitamin C, calcium and vitamin K.
Celery has just a touch less water than iceberg lettuce. And with just 6 calories per medium stalk, it’s a great snack or crunchy addition to a meal for those watching their weight. Plus, each medium stalk provides a little more than an ounce of water, making it especially easy to chow down on some of your daily fluid intake. Speaking of crunch, radishes make tasty — and hydrating — additions to many meals. Plus, they provide many health benefits. They’re rich in antioxidants, vitamins and minerals. And they may help to improve digestion and protect your body against disease. There’s a reason spas love cucumber slices so much. Besides their ability to relieve under-eye bags, their high water content can nourish your skin from the inside, too. 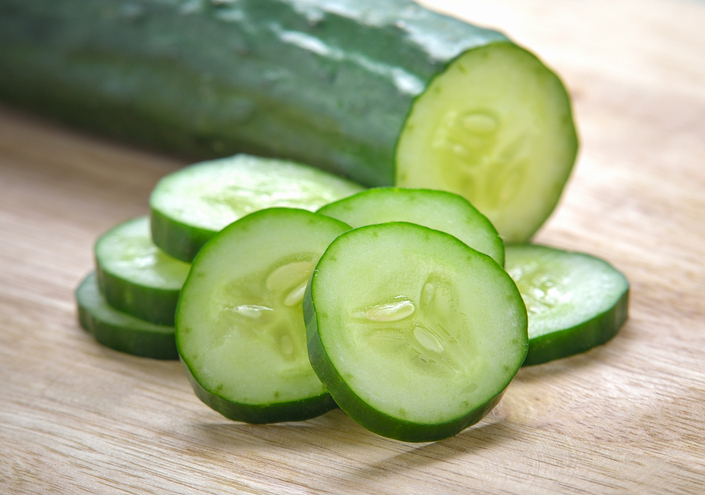 Cucumbers also are high in nutrients, including vitamin K, potassium and magnesium. The water and fiber content in zucchini make it a filling veggie without a lot of calories. One cup of chopped zucchini has around 20 calories and a little more than a gram of fiber. And as a bonus, zucchinis work in both savory and sweet recipes — including this one for vegan zucchini chocolate cake. There are many good reasons to love tomatoes. Besides providing ample hydration, they also may improve blood health, reduce your risk of heart disease and stroke and help to prevent osteoporosis. So go ahead and load up your pasta with plenty of tomato sauce. All bell peppers varieties have a high water content — with red peppers coming in just behind green at 92.21 percent water. And these peppers are highly nutritious, too. They’re rich in fiber, potassium and vitamin C, making them an excellent choice to boost your immune system. A struggle with eggplant is having a recipe come out too soggy, thanks to its high water content. But that can be tempered with a little bit of salt, while still maintaining its nutrients. 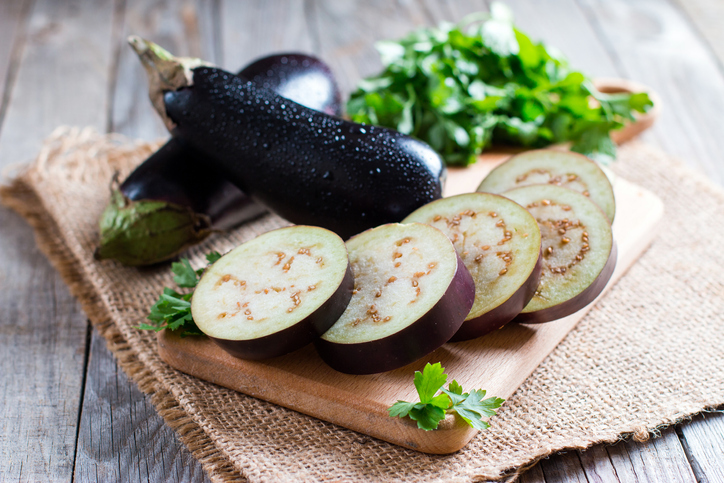 Eggplant is rich in fiber and can lower your risk of heart disease. You might not think of cauliflower as a particularly juicy veggie, but it’s packed with hydration. Plus, it’s low in calories but rich in nutrients — including choline, which supports your metabolism, keeps your nervous system healthy and lowers your risk of liver and heart disease, according to Healthline. There’s clearly a reason watermelon got its name. 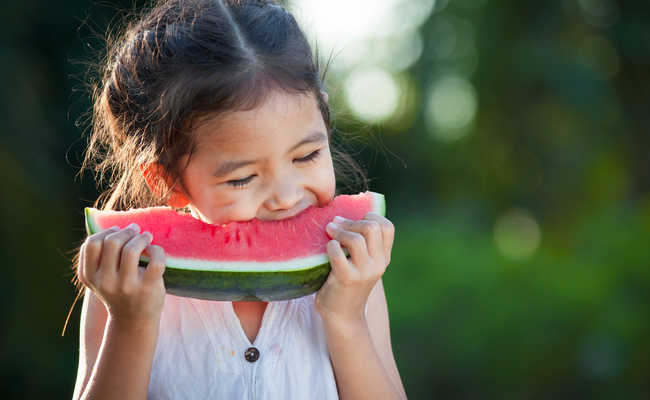 One average watermelon contains more than a gallon of water, according to the U.S. Department of Agriculture. And one serving of the melon gives you about 9 ounces of water. Like tomatoes, watermelon is also rich in the antioxidant lycopene, which can protect against cancer, diabetes, heart disease and more. If you’re just not a kale fan, don’t fret. Spinach actually has a little more hydration than kale — and plenty of similar nutrients. Spinach is rich in calcium, magnesium and potassium, making it a solid choice to strengthen your bones. 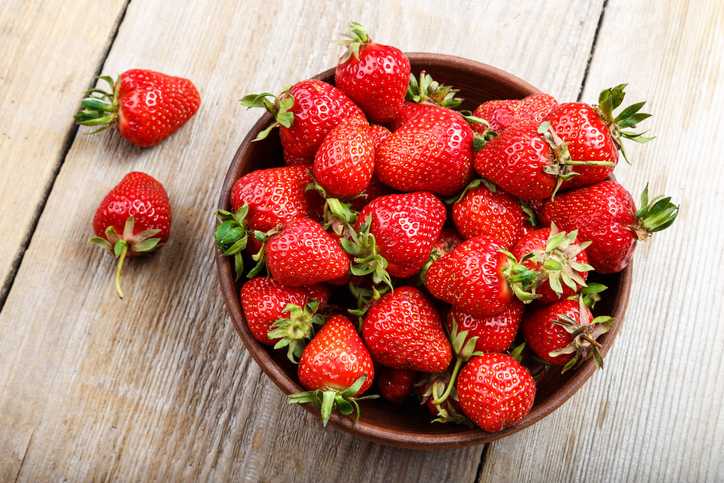 Strawberries certainly sweeten the deal when it comes to getting adequate hydration. These berries pack a punch against disease, as they’re rich in antioxidants and vitamin C. Plus, they also may help to prevent Alzheimer’s, regulate blood pressure and fight cancer. Interestingly, if you’re looking to squeeze the most hydration out of your carrots, you should turn to the baby carrot variety. They have slightly more water than regular carrots, according to the U.S. Department of Agriculture. But no matter which carrot you choose to crunch on, you’ll get plenty of vision-improving vitamin A and cell-repairing beta carotene. It may not have “water” in its name, but cantaloupe still has ample fluid. One serving comes in at only 46 calories with a little more than a gram of fiber to promote fullness. Plus, a serving of cantaloupe provides more than enough of the recommended daily vitamin A intake. When you think of citrus juice, oranges might come to mind. But grapefruit actually has a higher water content to meet your daily hydration needs. And you can’t beat its health benefits either. Grapefruit is high in immune-boosting vitamin C, as well as cancer-fighting phytonutrients. Plus, it’s rich in fiber and may help with weight loss. I love to drink Oasis organic watermelon/apple juice right now for hydration and also kombucha.